LilPhilosopher | Still Inspiring minds Thought by Thought! I’ve always considered myself to be a mentally tough person. Someone who isn’t easily flustered, or even get overly emotional about things. It’s not that I don’t care, or that I’m an unemotional robot, but I don’t let my emotions blind me to my task ahead. I started writing a few years ago, and it seemed a welcome release for my thoughts. Instead of keeping them inside, there was a feeling of release by expressing my thoughts and feelings. As I learnt to voice those thoughts more and more, I came to realize that having feelings and showing vulnerability was not only normal. It also had a bit of a cleansing feeling, keeping your feelings berried deep could be toxic. Knowing all of that, it came as a surprise to me when a few months ago that all changed. I had reverted back to keeping my thoughts to myself, to internalizing my feelings, to not be as social with friend’s and family. I was having a hard time understanding why there was this sudden change in my mental state. Of course the past few months have been fraught with national tragedy after the next. Whether it was the shooting in Charleston, the shootings in Ohio, the police incidents with Black citizens in South Carolina, Texas, or many other cities around the country. It seemed each week brought a new tragedy to the headlines. 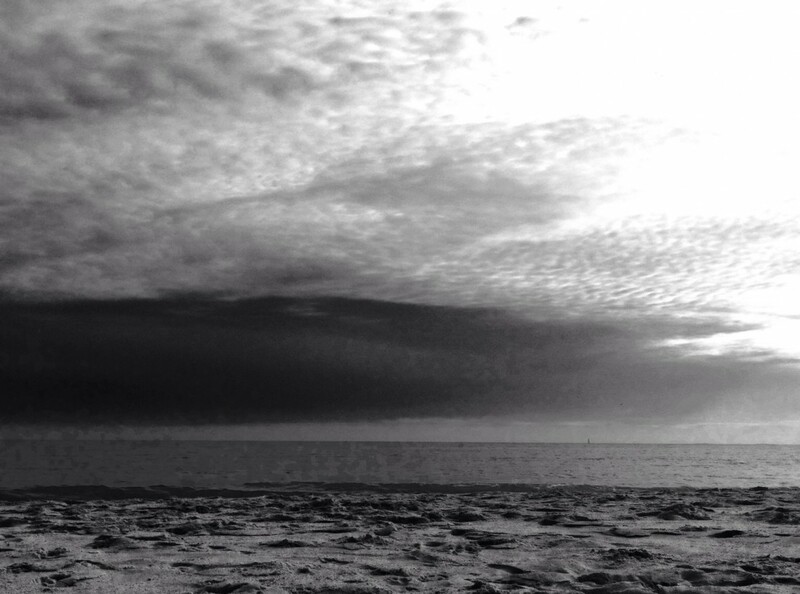 Given that back drop, I felt like my words were pale in comparison to that kind of grief. In the time that I’ve not been writing, I’ve instead been doing a lot of reading. From Between the World and me – by Ta-Nehisi Coates to After Action: The True Story of a Cobra Pilot’s Journey – by Dan Sheehan. Ta-Nehisi Coates’s book shook me to my core, awaking me from my slumber. For awhile I was naive in believing that those Black people that lost their lives, somehow did something, “I would never find myself in that situation” “That would never happen to me” Yet in examining each case more closely, there wasn’t anything I would have done differently. Ta-Nehisi’s words dislodged something in me, perhaps it was my cognitive dissonance as to what it is to be Black in America. Perhaps it’s because I was born in a different country, some aspects of the African American struggle are foreign to me. While this new insight did awaken me, it wasn’t until I read Dan Sheehan’s After Action, that there was any real awakening to the lies that I’ve been telling myself. Some of you may know from my other posts that I was an Active Duty Marine. As a teachable moment, don’t make the mistake of saying a Former Marine, or Ex-Marine, lol they get VERY offended about that. There’s a mantra, once a MARINE, always a Marine! Which get’s complicated because if I say I’m a Marine, you might thing that I’m still currently serving. To be clear my Active Duty service ended in 2007; almost 10 years ago. In my time in the Marines, I did also go to Iraq. My primary job was a Helicopter Mechanic, working on AH-1W Super Cobras. While I was in Iraq, and just a few miles away from Fallujah, the epicenter of some of the biggest conflict of 2003-2005 in Iraq. I wasn’t directly involved in the fighting, I was on a Military Base on the outskirts of the city. My main focus was on making our Helicopters Combat ready, and working despite the harsh desert conditions. The imagery of killing those soldiers is graphic and visceral. That was 1 incident over several weeks, and only at the lower end of the traumatic experiences of all his other experiences. My point is that to walk away from an experience like that and be completely unscathed, is virtually impossible. In my mind much like Dan’s interpretation of his Combat experience. Mine was not even remotely close to his, therefore I shouldn’t be traumatized by my experience. In describing my time in Iraq, it went something like this “I didn’t have to use my weapon, or didn’t get shot at ( although we were regularly attacked with rockets and mortars, which would have had a similar effect as the scene described above), so I came back ok. For me that meant I wasn’t an alcoholic, I wasn’t physically abusive to my family or those close to me. I wasn’t a recluse, or someone who was jumpy at any sudden sounds. But I’m learning that the effects aren’t always so overt. The absence of those symptoms doesn’t mean that you don’t have any subtle ones lurking in the shadows. It’s important to compare Apples to Apples! In his second book Continuing Actions: Dan Sheehan makes an important distinction about what PTSD is. Comparing your experience to someone with a worse more visceral and traumatic experience, isn’t the predictor of whether you will have mental scars from combat. While my experiences were virtually harmless compared to his or 1000’s of other veterans, it doesn’t mean that it is any less traumatic to MY mind. Despite what I may have thought about my time there, my body was telling me something very different. While still in Iraq, towards the middle of my tour, there was an incident where I thought I was having a Heart Attack. This episode took place when I was sitting reading a book, not doing anything dangerous, or not even after any of the Rocket Attacks by Insurgent Soldiers attempting to hit or base. After returning home, this continued for several months. While I wasn’t jumpy or having any other overt signs of PTSD. There were many other occurrences when I would wake from my sleep because I was having a panic attack. Which was confusing because this was never preceded by flash backs, or nightmarish memories playing back in my mind. Even though it’s been 10 years since I left Iraq, from time to time I still have these episodes. I’m not sharing this to garner any sympathy, but I’m sharing this to show my unconscious mental reaction. While overtly I may say I’m ok, my mind clearly is showing something differently. I think this is the mistake many veterans make. We say that were not effected by our time in combat because a) Another Veteran with a worse experience is fine, ergo we should be too. or b) I don’t see any of those BAD symptoms, therefore what I’m experiencing must be something else. Acknowledging there’s a problem is the first step! While this revelation isn’t a source to ALL my problems, it’s a window into my overall mental state. I’ve always been under the impression that I was unaffected by my time in Iraq. Since I didn’t show any overt symptoms, I wasn’t mentally effected by my combat experience. Secondly because my experience wasn’t as traumatic as countless others, I don’t feel worth of claiming that I’m experiencing mental trauma from my time there. While I may only have a “paper cut” of an injury, it still causes discomfort from time to time. My overall mental state is good, but as anyone with a paper cut knows; it sure is uncomfortable from time to time. Most people that have the pleasure of knowing me will say there’s ONE thing they remember most about me. It’s that I’m always smiling or in a pleasant mood. Most people I know can count the number of times they’ve seen me upset. Unfortunately because I’m usually in a good mood, I can’t hide it for long if something is bothering me. I started writing because I wanted to spread some of my Joy to those that I won’t ever interact with or have the pleasure of knowing. So I brought out my brightest and best smile for this occasion. Close your eyes and remember the last time you felt happy, really happy; not the fake smile you give the world or use for the photographs. Now, one of two things will happen- either you will remember something that makes you smile and give your insides a happy lurch or you will feel like this is a pointless exercise and you will move on to the next post in your scroll feed. If you belong to the first category: good. If you belong to the second category and are still reading, GREAT!!!! Now realize that we are all in the same boat putting in our best efforts to row it towards our pot of desires. But today the Happy Wappy World decided to make you reflect back and acknowledge how far you have come, and within 15 minutes of your precious, hectic, important time (Hey, it’s not money at least!). The idea is to slow down our lives a little bit and focus on all the positives so far. So grab a pen and a paper and write down 10 reasons why you consider your life happy. This list may include individuals that make your life worth living, or your accomplishments achieved after a lot of hard work, or things as random as food joints or your favorite chocolate. When you are done, this piece of paper will describe all the trials and testing times you have been through and how it was all worth it in the end. While life has it’s ups and down, taking time to appreciate beauty and happy moments is a great way to prolong your life. So here are a few things I’m happy about. My Mom, for raising me to be an honest person (and that’s doing so when no one is looking too). To know how to treat other’s with respect, to be kind and generous, yet not be a doormat. Plus my Mom is just all around AWESOME, it only took me 30+ years to realize that. The Marine Corps. I’ve learnt so many great lessons and so much of who I am is from my time there. While I do talk about it in the abstract (or sometimes refer to it as “In my former Life”) The Marines has been the catalyst to teaching me discipline, and to know my limits, and when it’s possible to overcome them or walk away. Friends along the way who have thought me to Love others despite their Political, Religious, or Sexual Preferences. I’m especially thankful to those of you who have helped shape my faith. Don’t want anyone to feel left out, so I’m not going to name any names here. But if you’ve ever gotten a “I’m thankful for you Letter or email” you know who you are. To the countless people who believed in me. Who gave me a chance, even though I may not have felt deserving, for pushing me to new limits. For a College Education, that was mostly FREE with some minor loans. While some days I may not always cherish my experience. It too along with the people I’ve met has shaped me into who I am today. For my family who supported and helped my mom and I to immigrate here to the U.S. This smile is also for you, my READERS. I know sometimes I could sound like I’m ranting, so thank you for listening. For Life long Friends like Nick and Sikhan. Who I know I can always call when I need help. Sorry Mandy and Caitlin if it’s late at night! This smile is for being able to find the good in situations and people. For not letting life keep me down. I know I’m supposed to list 10 things, but I can’t have a list without also talking about my love for Techno Music (or EDM as the kids call it these days). There’s nothing quite like driving safely, but at an undisclosed speed, with the Beat just blasting. It doesn’t matter what my day was like, that can always bring a smile to my face #smiley. I was sitting here earlier and came across a post from a fellow blogger that made me stop and think about my life. More specifically to all the triumphs I’ve had despite my failures. Yes I’m talking about you thehappywappyblog. You can click the following link to find the post that got me on this thought process here: Confidence Booster! A few months ago I started a project for a friend of mine. I wanted to do something to cheer her up. The project was a bit bigger than I expected, and I haven’t completed it yet. Not for a lack of not caring about her anymore or anything like that, I’ve just not been able to finish because it’s a lot of work; I really hope she isn’t reading this. While I generally try to be a positive person, there are moments when I have to be really intentional about loving myself. To make an effort not to tear myself down, and to feel like I’m enough. While I’ve not had any kind of mental, physical, or deep financial turmoil in my life. I’ve been fortunate to not have any health or mental issues, despite that I’ve not been entirely content with my life. In a way I suppose that’s actually more normal than abnormal. 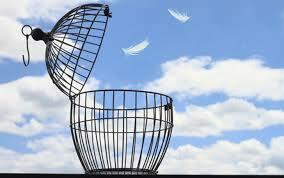 Who really is 100% content with the way their life is, after all there is a Life Coaching and Self-Help Industry. In the lead up to the project for my friend, I started writing some quotes, things that I try to tell myself regularly. My thinking is that to love another person, you first have to love yourself. If you don’t love yourself first, it doesn’t matter how great the other person is, you may be asking them for too much. Relationships are already hard on their own, putting more burden on the other person, to love you more than you love yourself, might not be a task for everyone. I think the most important thing to any kind of success, whether it be career, family, or relationship; is for you to love yourself first. The truth is there will be large portions of time when you’ll be by yourself, not in a lonely kinda way. You might be driving, sleeping, working etc. Other’s may not be talking to or interacting with you, but you are in your own head. 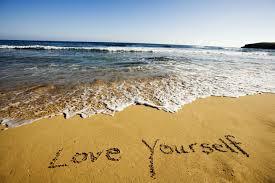 What better place to start loving yourself than in your own head. Here are a few of the quotes I like the most, and thought I’d share, enjoy! Tell yourself “I Love you” speak loving words to yourself at every opportunity you get. Be conscious of your negative self-talk. If you find that you’re being negative to yourself, then change those occurrences to positive words. Yes you’re broken, it’s OK. The truth is EVERYONE is a little broken. Your mistakes don’t define your life, they do however add dept to the wonder that is YOU. Even the most beautiful things have cracks, and in most cases they add to it’s beauty and character. You can find small victories despite your circumstances. Believing that you can is the first step. Don’t let one bad occurrence corrupt your entire day. YOU are everything you need. You don’t need anyone else to complete you, perhaps compliment. You’re already complete; thinking of yourself in this way allows you to feel more self-love. Tell yourself I am worthy, and I have value as an individual. From time to time we all fail at various things. But failing at one thing doesn’t make our entire life a failure. Learn to sometimes be in the moment, if you’re too focused on the past or future, you may miss the good in-front of you TODAY. ALWAYS do your best, sometimes that means you can only give 50%. If that’s what your capable of that day, then give that. Tomorrow is a new day you can do more then, just don’t overcompensate for what you didn’t do today! Sometimes you have to “fake it until you make it.” If you think positively, that could eventually lead you to start feeling that way. Learn to “Let it Go” occupying your time with thoughts of negative self worth only leaves you feeling defeated and depressed. Learning to let go of thing you can’t control is a great step towards Self-Love. If nothing else I’ve said so far resonates with you, remember that you’re the person best capable of loving YOU. Others may try, but they can’t love you quite like you love yourself, after all you’re the one walking in your shoes. Treat yourself with love, care and grace. 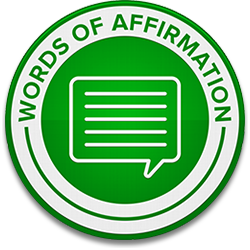 Speaking affirming words also applies to yourself, don’t forget to compliment yourself; of course I don’t mean any of this in a narcissistic way. On any given day, there seems to be a new tragedy that plagues our Nation. America is a great nation, but I can’t help but ask the question, why do we hear of these tragic situations nearly daily? Last month it was the Church goers in South Carolina. Yesterday it was Marines in Tennessee. Time and time again we continue to hear of a new mass shooting case, while opponents of Gun Control argue that less guns is the answer, and proponents of guns argue more guns. It seems that at the heart of that they’re forgetting to look at the root causes. As some have said “Guns don’t kill people” while I agree with that statement, there seems to be no effort to get to the root cause of those instances. It seems evident that HATE is the central issue. What kind of world do we live in where young kids now has “Active Shooter Drill” ingrained in their vocabulary? What kind of a world do we live in where a young teenager can go out to get candy and a soda, and end up dead? What kind of a world do we live in where a traffic stop, ends in you clinging to your life? What kind of a world do we live in where unarmed citizens are dying in police custody? What kind of a world do we live in where my skin color, is a motive for the violence inflicted upon me? What kind of a world do we live in where Slavery and Jim Crow era is now looked at as Southern Heritage? I’d like to pause here briefly. It boggles my mind to comprehend how a society that was soo against Blacks prospering just a mere 50 years ago. In one breath say they’re proud of their Southern Heritage, while at the same time not recognizing that Racism was an aspect of that heritage. It’s one thing to say you’re proud of your heritage, and acknowledge the bad aspects. To remember that you’re also capable of bad thing, so that you can actively work to produce good. To simply forget about the bad aspects seems a recipe to repeat those mistakes. What kind of a world do we live in where Military Service members have to protect themselves living in our Country? What kind of world do we live in where someone can say “I’m CHRISTIAN” yet openly spew hate towards the LGBT community? These are just a fraction of the questions I find that I ask myself. The truth is I don’t know how to begin to answer many of these questions. For me part of it is a break down in empathy. How can you continue forward with any of these acts if you’ve ‘Walked a day in another person’s shoes’ A question that I love to ask is “why have you take the actions you have?” This question has always quipped my curiosity about people, to get to know and understand them beyond what I see. What is your motivation? Why did you say what you did, or more importantly what experiences have led you to your decisions? If you’re living your life and not making a conscious effort to think about many of these types of questions that I find plaguing my mind, it seems that Society as a whole may be in bigger trouble than I can imagine. Our world seems to be falling apart, is anyone going to try to address some of our faults, to make an attempt to be less violent with each other? The debates over the past weeks have been interesting and aggravating at the same time. While we all have our own individual values and belief, we have the freedom to choose how we’re going to live our lives. The thing about freedom though is that if you’re free to think one way, others are also free to think another. The biggest most contested views of our time seem to be around Abortion, Guns, LGBT rights, and certain Belief Structures. I myself tend to be a bit more logical in my thinking, it’s not that I don’t use emotional appeals, I just try not to base my entire arguments on them. With logical reasoning there’s usually someting specific, where an outcome can be measured and tested. A simple example could be: when it rains, things outside gets wet, the street is outside, therefore when it rains the street gets wet. This can easily be tested, you’d just have to wait until it rains, and you can check for yourself, you don’t have to take my word for it. In contrast Emotional appeals are usually based on stories or anecdotes, and inferences. They usually try to elicit some kind of emotion. For example fashion magazines feature well fit people, with body types that aren’t like the general population, and they ask you to feel fit. Every action has a Reaction! It’s been some time since I’ve been in school, but everyone I’m sure remember’s Newton’s Law: Every action has an equal and opposite reaction. How does this apply to some of today’s debates? Those opposed to Abortion may argue that it is the killing of an innocent life, that it’s barbaric. While I do support their individual beliefs, doesn’t that mean that other people are also FREE to have other beliefs that might not be similar? What I don’t like about the proponents of Anti-Abortion is that they’re basically saying I don’t like Abortion so you shouldn’t do it. I agree that this could be problematic in that there are many things which society deems inhumane that we don’t support. For me it seems there’s still a broad swathe of opinions on this issue, so we also have to have room for varying views. Many argue that the 1st Amendment gives them the freedom to speak their views, yet they trample the views of others that disagree with them. One of the biggest arguments I seem to hear the most is that people’s Religious Freedoms are being infringed upon. This is always an interesting argument, it usually goes like this. My religion teaches me that ______ (insert cause) is wrong, therefore you shouldn’t do it. This makes me laugh because as those who say their freedoms are being infringed upon, they are actually trying to take away your freedom to choose how you feel. Many say that the Supreme Court’s decision to open up Marriage Equality to the LGBT community is a step towards damnation for our country. While I myself favor traditional marriage, if you favor another kind, then so be it. If I’m free to feel one way about marriage, you’re also free to feel another. The notion that marriage is a Religious Institution is preposterous, and here’s an example that illustrates that point: In order for a marriage to be legally recognized it takes only a marriage license from a State Organization. No longer is the day when you’d have to get approval from a religious leader. Taken a step further, if you were an upstanding citizen, and were married by your local priest, had family friends and the entire community present, but don’t have a marriage license. Your marriage isn’t legally recognized. It seems that marriage hasn’t been a Religious right for quite a long time. For me the Religious that oppose marriage equality lack this basic premise. They believe that marriage is rooted in a religious base, yet the legality of a marriage is more of a Government approval. If the Religious community wants to worry about something, it should be that our Government doesn’t seek a religious opinion when writing laws, and haven’t for a long time now. For me we can’t have it both ways, give up our opinion or input when laws are formed. Then after the fact if we don’t like it, say people are infringing on our religious freedoms. Which is an oxymoron anyway, because the reality of those arguments isn’t that other’s are infringing on their freedom. Rather they’re looking for a way to stifle other’s beliefs, and only theirs should have any kind of standing. Which of course is everything the 1st Amendment isn’t about, something to think about! By now if you’ve read many of my writings, you’ll know that I’m Christian. However I have to say most of the Christian Voices don’t represent my views. Take any specific issue, the response form Christian seem to be this: “You’re an abomination to god, you will die a slow and painful death, and will live in eternity like that, you should confess your sins, and be saved from eternal damnation” I jokingly say that they don’t even say “hello how are you!” The problem with that approach is that it might not be entirely rooted in the Gospel. Take Jesus for example, I understand that not everyone is a believer and that’s ok. In the stores in the bible Jesus’s interactions usually went something like this “Hi there how are you, here’s some interesting news, don’t know if you know about this… A conversation ensues, then at some point the person will ask, “wait do you know who I am?” My community has shunned me, are you sure you want to talk to me? While I’m paraphrasing here, here are some direct resources to check out. John 4: 1-29; Luke 5: 27-31; Luke 7: 36-50. My point is this for the Christian Community, Jesus is our example. Interestingly when he interacted with people who were labeled as “sinners” he never addressed their sin initially. In many cases it was other people who brought up the sin, and Jesus was happy to interact with the person with no regard for what their flaw was. It seems that many Christians miss this lesson. 3. “And why worry about a speck in your friend’s eye when you have a log in your own? 4. How can you think of saying to your friend, ‘Let me help you get rid of that speck in your eye,’ when you can’t see past the log in your own eye? 5. Hypocrite! First get rid of the log in your own eye; then you will see well enough to deal with the speck in your friend’s eye. It doesn’t matter the issue, people don’t like when you point out their flaws, especially when you don’t know anything about them, or what has lead them to where they are. For me what people lack is basic empathy, and in many cases don’t take the time to know others. To really find out the why behind why they feel so strongly about a cause, or what has lead them there. If you’re to change someone’s mind, it’s easier to do that by changing their heart or their core. We all have our core beliefs, and they don’t easily change.